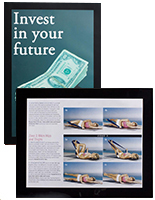 This sign frame, such as a plastic or acrylic cheap picture frame or real estate framing is in-stock and ready to ship. 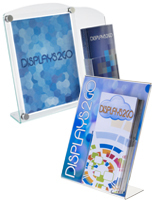 Table tents and many other acrylic displays are also available to purchase now! 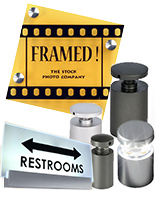 In addition to these acrylic signage holders, we have a rather sizable selection of wall mount frames, outdoor frames, and many other sign frame options. 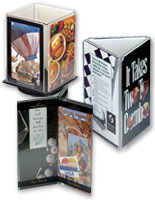 Many of these products even ship same day when in stock! 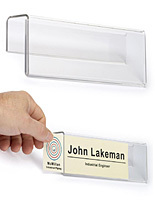 A plastic sign frame or an acrylic frame displays your information to customers. 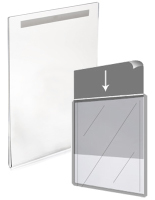 Use any of the items shown here to protect signage from dust and dirt. 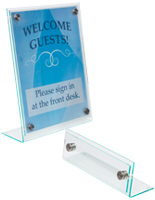 This sign frame also known as a picture holder is available in nearly every size imaginable. 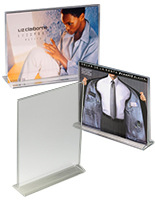 Choose from cheap plexiglass holders with different designs and base configurations. 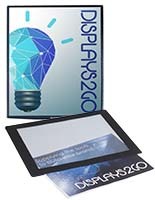 Displays2go manufactures countertop sign frame products in single or multi-panel display units. 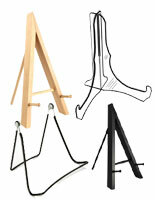 There are also hundreds of other signage solutions for floor standing applications. 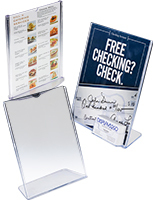 Set up a sign frame on a restaurant table, bank counter, or even a retail checkout area! 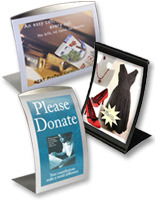 Plastic sign displays are designed for a variety of uses. 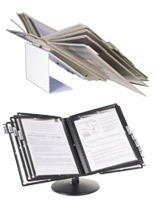 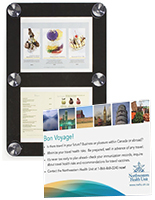 A sign frame or poster stand with brochure pockets is optimal for offering "take one" materials to your customers. 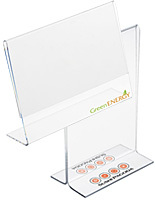 In addition, there are acrylic frame displays with suction cups to mount to store windows and other glass surfaces. 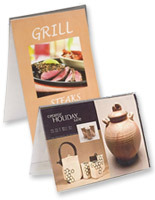 A sign frame, such as counter mat signs or floor mats draw in customers at points of purchase. 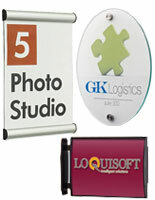 These unique signage options utilize marketing spaces that might normally go unused. 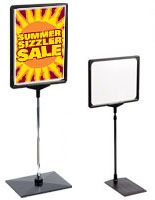 Promote your business with a company name or slogan directly on a sign frame. 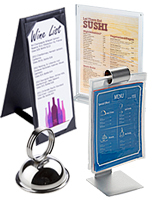 Metal signage holders with magnetic lift up lenses and traditional wooden signs complement existing décor nicely. 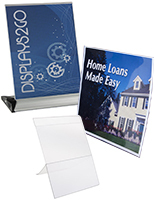 Real estate sign frames are often used by agencies across the country. 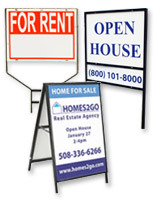 A real estate frame, also known as a yard sign is a vital marketing tool for any agent looking to entice potential home buyers. 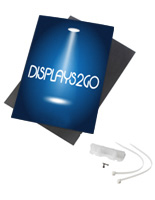 Most sign display fixtures are stocked in bulk quantities so they are always available! 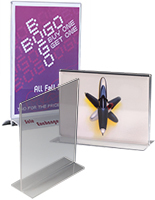 When in need of simple affordable marketing tools; these acrylic displays showcase your custom signage for all to see and recognize! 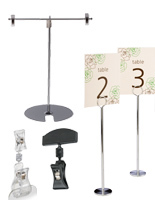 Shoppers can contact us on live chat weekdays from 9am to 5pm EST, by phone, or email. 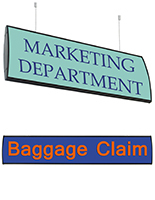 There are customer service representatives available that are well-trained in order to answer questions regarding the products sold on this site. 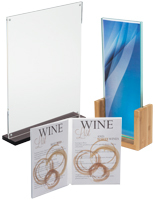 As a national leading manufacturer of POP displays, and picture holders, our goal is to provide the most up-to-date merchandise while also delivering the highest level of product quality and customer service. 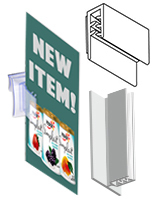 Be sure to take advantage of the incredible shipping policy; purchase in stock items prior to 3PM EST weekdays and most orders ship out the same day!